Our Marindale Farm location is an expansive meadow with wide open space all around and smooth air that lends itself well to basic ground handling instruction as well as stationary tow operations. Classroom sessions are held nearby as well. Our Richmond location is generally reserved for students who already have some experience with ground handling. The site caters well to running reverse and forward launch practice where short ground skimming flights can be achieved on a mellow hill. Classroom sessions are also held here. 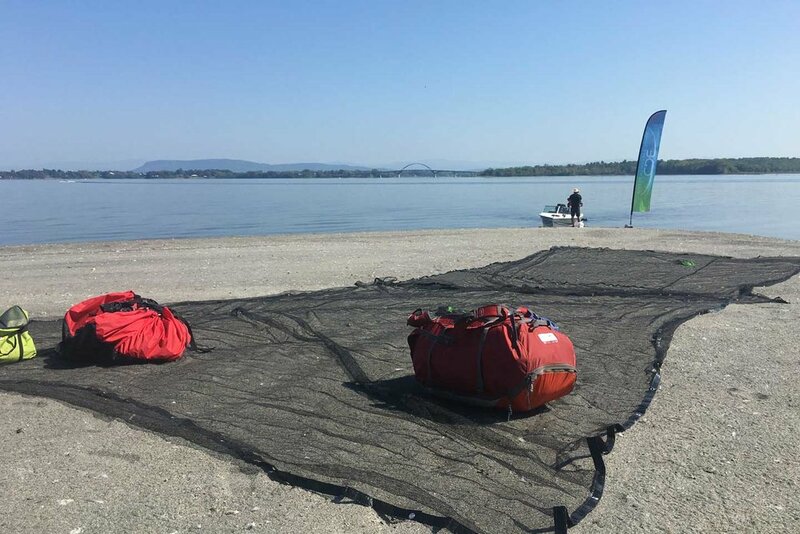 This beautiful beach-side campsite on the shores of Lake Champlain serves as our base of operations for our over-the-water maneuvers (SIV) training clinics. Specific information regarding camping at this location can be found here. For detailed information about our SIV clinics and to sign-up, please visit our maneuvers page.